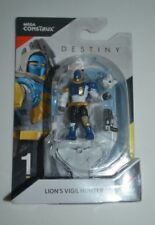 MEGA CONSTRUX DESTINY LION'S VIGIL HUNTER FMK03 VHTF !! SEAL SUB RECON. I am more then happy to work out any issues if there are any. No exceptions. CALL OF DUTY. Doing that is against the law. Outfit your SEALS for a complete surprise attack and make it through the waters unseen! GREAT ANIMALS ~ JUST RIGHT FOR LITTLE HANDS TO ADD ON TO SET. SAFARI JUNGLE ANIMAL ZOO. Toy pieces are in previously played with scuffs/paint rubs. Very cute add on set lot. 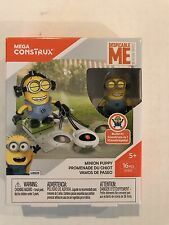 Mega Construx Pokemon Lot of 2 Holiday Santa & Candy Cane Pikachu~Free Shipping! Pikachu with candy cane 24 pieces. Pikachu with Santa hat 23 pieces. Detachable armor in Revenant shader. Colossus accessories include detachable armor and weapon. Lion's Vigil Hunter fmk03. Vanguard Titan fmk01. Kallipolis Hunter fmj98. 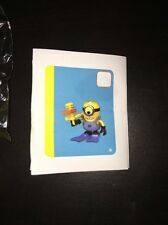 I am an adult collector and have taken care of these beautiful collectibles. Pet and smoke free. Gently played with but really cute. A few little scratches here and there. A really cute mix. 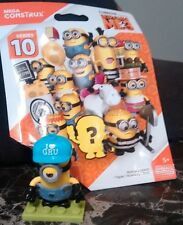 Minions Series 10 blind bag lot of 2.